Get Involved with the New Era Eagles! 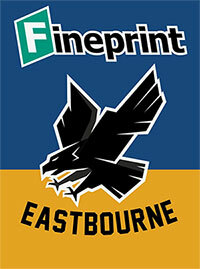 Launching the Eastbourne Fineprint Eagles back to professional speedway in 2019 involves major set-up and BSPA entry costs that could exceed £20,000. The club’s Championship campaign has already received outstanding help from sponsors and backers, which is much appreciated. There are many ways in which everyone can help, from individuals contributing a few pounds to major corporations / large businesses joining us on our exciting journey. Race meeting related options such as heat and match sponsorship; and opportunities of helping our team directly with support targeted to such things as fuel and oil, tyres and Race-Jacket sponsorship. There are also stadium related options for major advertising on the speedway air fences, centre green, programme and grandstands. In return, we will offer unrivalled access to the team, riders and management, full advertising and acknowledgement of all help and support, VIP access to all areas of the club and unlimited brand and media awareness via mainstream TV, local radio, national and local media output and, in the case of Eagles TV, a state-of-the-art cross media portal. 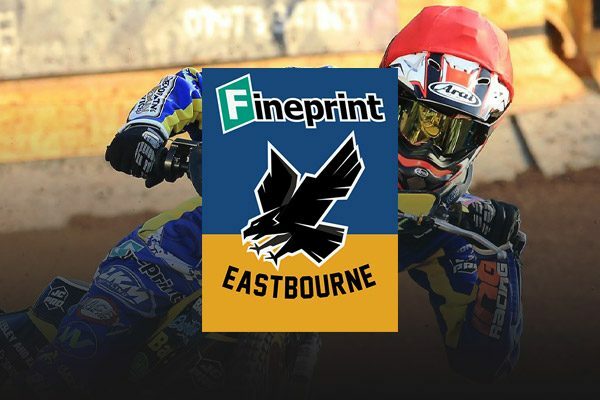 Eastbourne Speedway aims to build a foundation in 2019 that will lead to a new and exciting long term future for the sport in Sussex. To do that, we need your help, in coming to speedway at Arlington, be it a continuation of your support; or returning back to us. Hopefully you will help us to attract a whole new generation of speedway fans. We want to reach out to local businesses, to give them a chance to help and support us and also to give them unrivalled advertising and marketing exposure in one of the major professional sporting teams in the county. Our focus will be in supporting all of our sponsors and advertisers by encouraging both our supporters and people in the wider community to shop-first at those who support Eastbourne Speedway with our ethos of helping those who help us. In the coming days we will explain our advertising and sponsorship opportunities and if you want to find out more, please don’t hesitate to contact us via e-mail commercial@eastbourne-speedway.com or click here to fill in contact form on our Commercial page.